This year, Kyiv Maker Faire team set a goal – expanding the horizons of the movement of the Ukrainian makers. With the help of the Visegrad Fund, we were able to invite our colleagues from Europe to the festival and make Kyiv Maker Faire an international event. 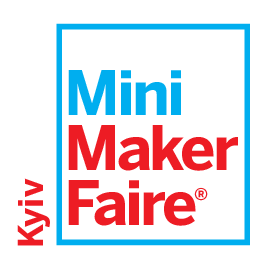 For the first time Kyiv Mini Maker Faire had participants from abroad who represented maker spaces from Czech Republic, Hungary, Slovakia and Great Britain. 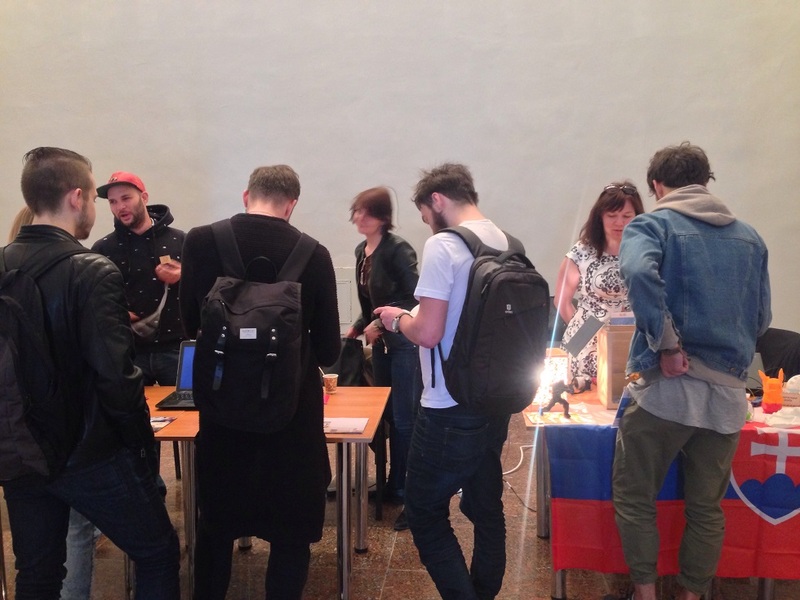 A new format of our festival helped our makers get to know better Eastern European maker movement. The event was divided into several zones: robotics zone, craft zone, drone racing zone, transport and flight zone, lection zone and food zone. 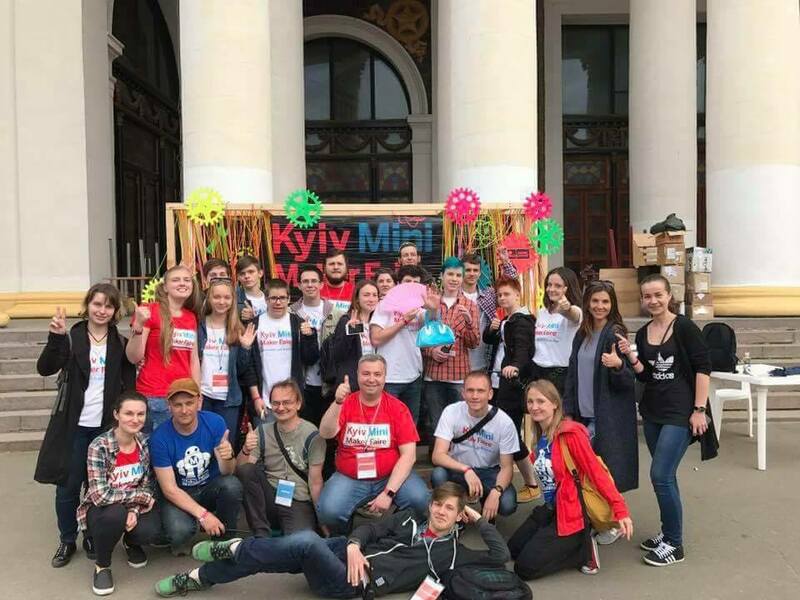 Almost 150 participants were taking part in organizing and performing activities in Kyiv Maker Faire festival, including KMF team and a group of talented volunteers. The most active part of the festival were representatives of the fab labs, schools, universities and scout organizations. During 2 days more than 200 teachers from different Ukrainian regions visited our festival, all of them got free invitations from our team. Free tickets also were given to young militaries. In each zone there were stands of participants according to subjects, and also various activities were carried out. Such as the race of drones, the launch of an experimental space rocket, a contest of robots, various workshops for children. Makers-participants presented the achievements and results of long-term work in various fields. Such as: robotics and rockets, electronics, science and education, engineering and alternative energy, fabrication and craft, art and design. In the lecture zone for two days the lecturers told the makers and guests of the festival about the latest and innovative developments in rocket engineering, space exploration, preservation of the environment and much more. 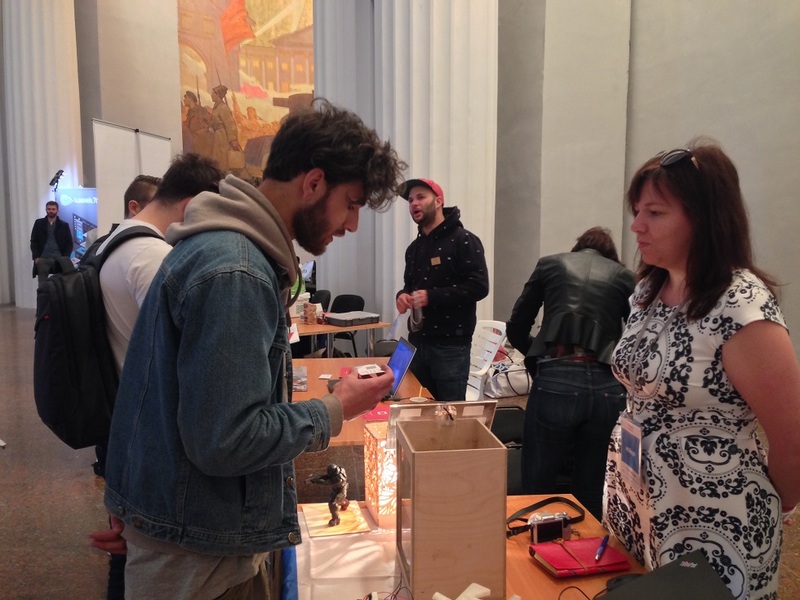 In addition, within the framework of the lecture hall, a discussion panel of European maker spaces was held. All participants took an active part in the activities of the festival, got acquainted with the Ukrainian makers and shared their experience. 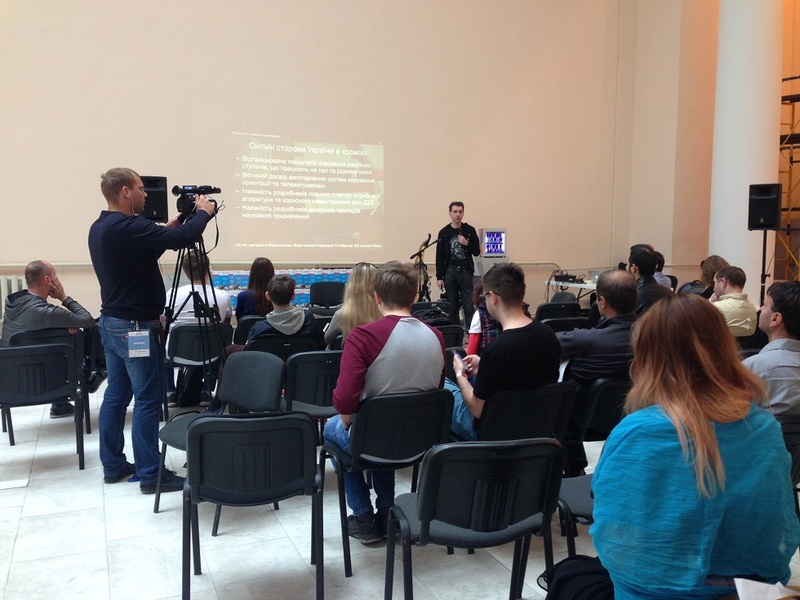 An important part of the Kyiv Maker Faire was the International Eastern Europe Maker Space Meet Up. 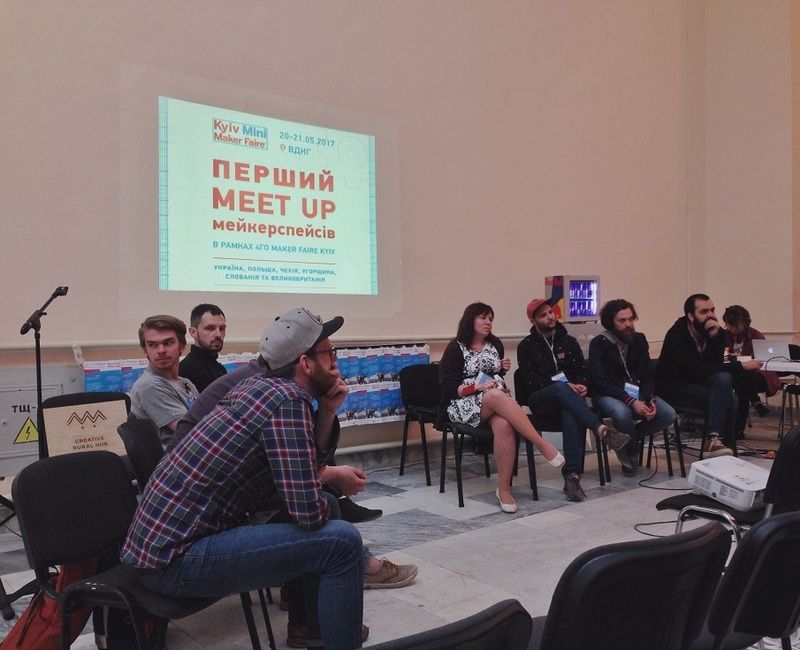 The meeting of representatives of 4 biggest Ukrainian and 4 European makerspaces was held in the format of a two-hour panel discussion, with presentations of participants and subsequent discussion in a mode “question – answer”. 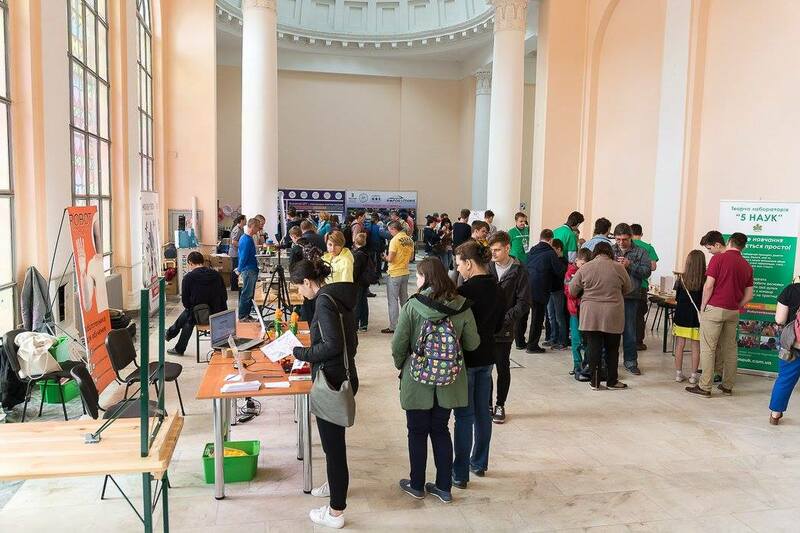 We can confidently state that this was one of the most culminating moments of the whole festival, the meeting was attended by the largest number of Kyiv Maker Faire visitors and participants. Even more, all European participants had their own stands at the festival, where they presented their own makerspaces, demonstrated their works and held workshops for children. Slovak colleagues from Bratislava makerspace “Creative Point” brought to Kyiv unique models made on a laser cutter and pot-tank that works with solar energy. Makers from Czechoslovak city of Pilsen “Creative zone DEPO2015” shared experience of creating and developing the largest maker space in Czech Republic and involved Ukrainian kids to making lightening postcards workshop. Hungarian colleagues from “Makerspace.hu” (Budapest) shared practical cases how to implement STEM into the education system. Makers from “Machines Room” (London) have built huge wooden installation, involving all visitors. As a result of cooperation, our European colleagues have concluded several agreements with Ukrainian potential partners – schools, makers and faculty labs. Several Ukrainian participants, in particular, have already been invited to local festivals in Hungary and the Czech Republic for the further development of international partnerships. What makes our team incredibly happy!